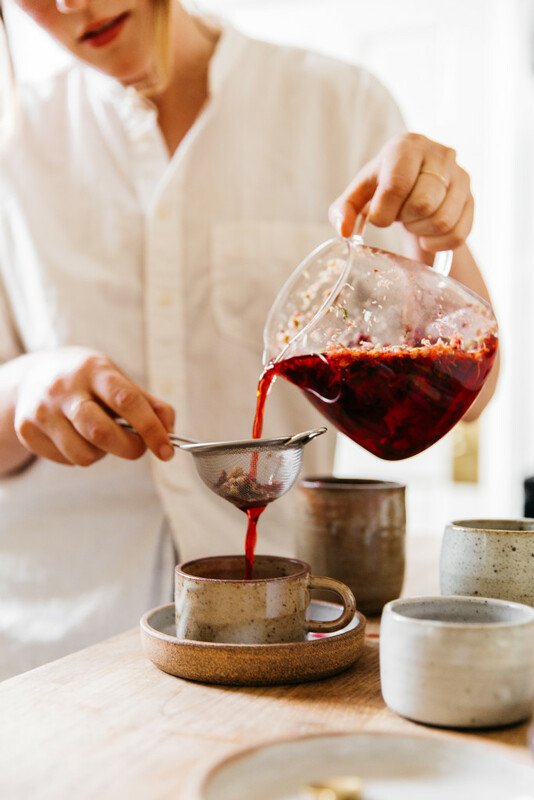 Whether a tea ritual begins at day break or finds its footing in the afternoon hours, three elements are essential in this calming steeped routine: tea, water and teaware. While the choice of tea leaves rotates day by day, it’s easy to find constant comfort in treasured mugs or cups that fill our kitchen. Family heirlooms passed down through generations carry sentimental stories. Large sets of identical cups that stand like soldiers on the shelf await larger crowds (and don’t mind a chip or two). Then there are the handcrafted mugs and pots that we carefully collect for artistry and originality (much like each unique tea leaf). 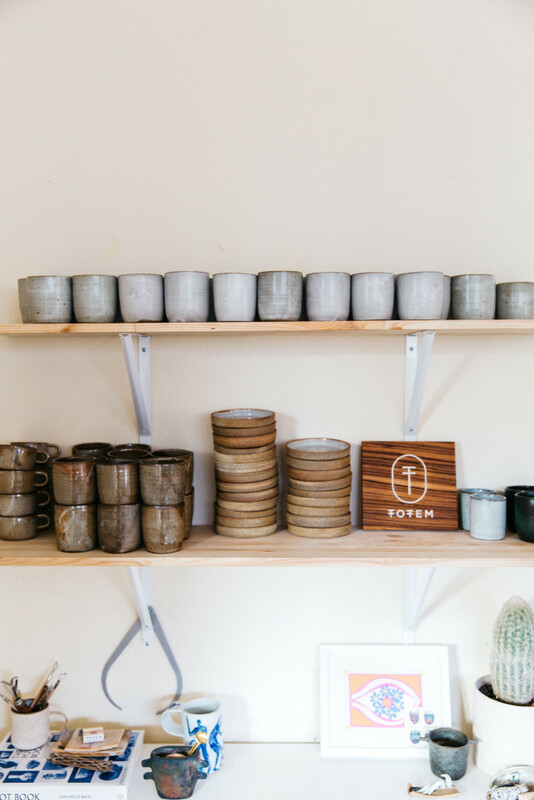 Julia Lemke, a designer based in San Francisco, has been crafting a collection of pottery (and other mediums) for over 5 years under the brand name, Totem. Inspired by nature, simplicity and folk art, Totem began as a side project as a way for Julia to align hobbies while in school. 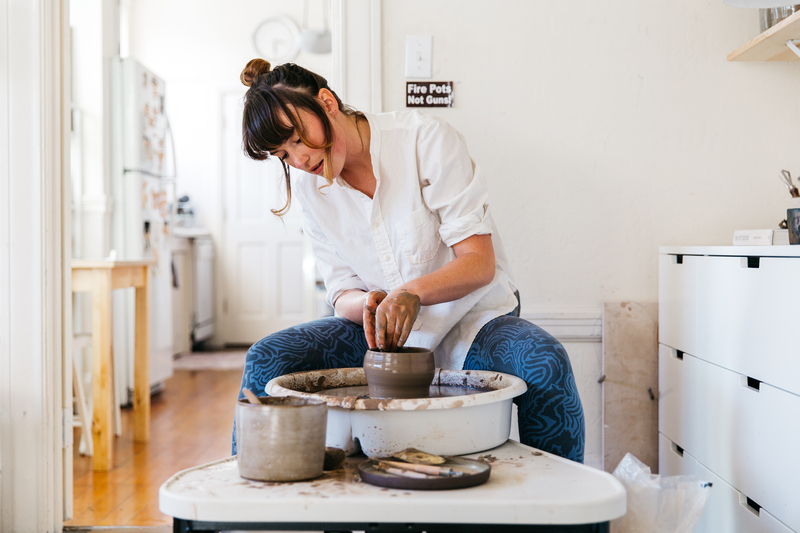 While wood working, textiles and metals are still explored, pottery remains her true passion. 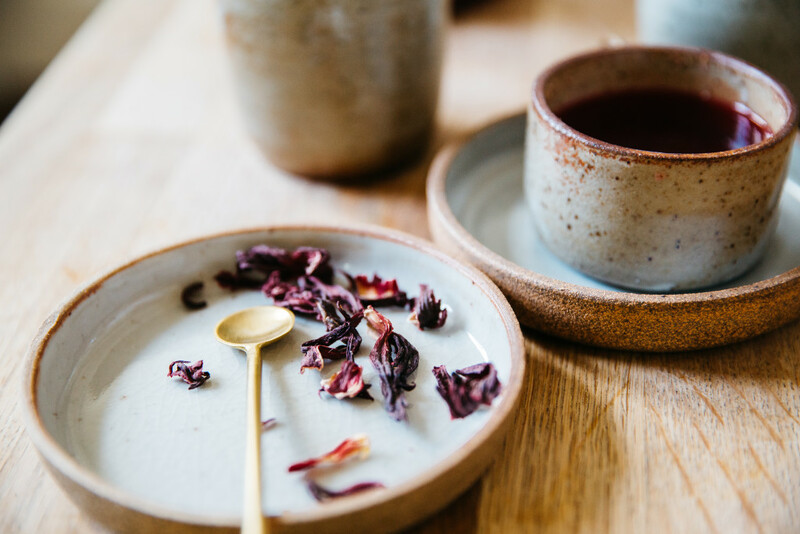 Within her collection you’ll find a strong presence of teaware, with a series of speckled mugs, tumblers and a small stoneware bowl that is calling out for matcha to be gently whisked within. The natural aesthetic of Totem’s teaware collection seems to reflect the colors and textures that linger in the soil and sky that encompass a tea garden. 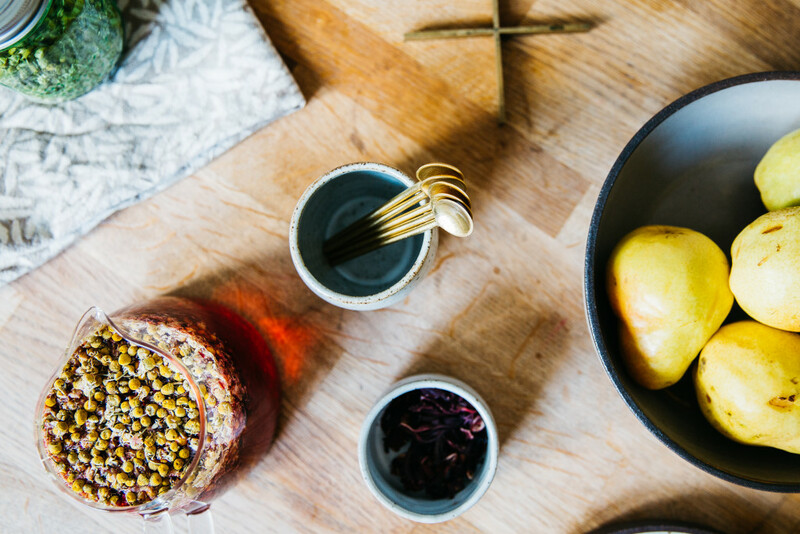 In the Q&A below, Julia provides insight about her process to craft teaware and favorite tea moments. 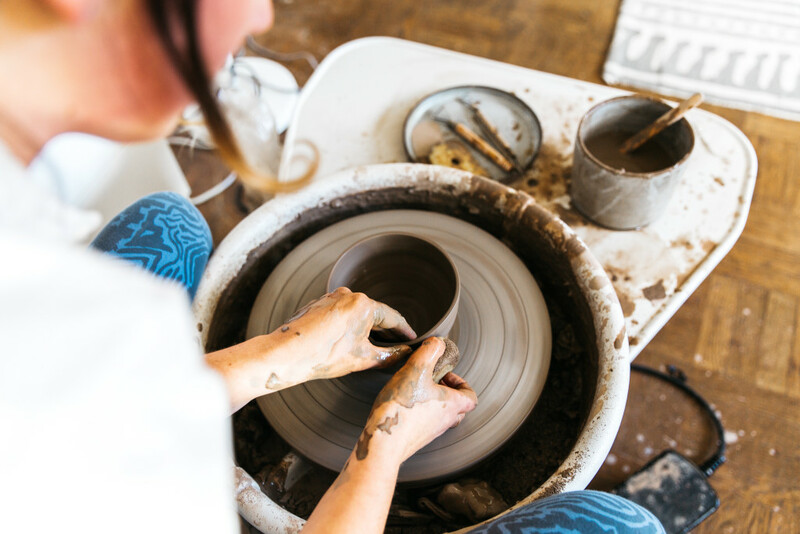 Why were you inspired to explore pottery? I grew up with two artists for parents, and their influence has been very prominent. Pottery is a balance of craft and design, and that is where I draw most of my inspiration. I would say the common theme in my work is tactility. An appreciation of the natural form and material, simplicity, and a contrast of texture are very important to me. I try to balance functionality with unexpected elements. Very simple and traditional, but with some sort of drama or modern detail. How does tea play an important role in the creative process to craft teaware? Each cup I make I like to think about the purpose – the shape and size, or even weight of a cup lends itself to different drinks. But I also enjoy being flexible, I’ve found that everyone has a different preference or creative use for each piece. Just recently I had a customer email me that my espresso cups (which I obviously had intended for coffee!) were here kids favorite for their treehouse tea parties. Do you have a daily tea ritual? There’s something so perfect about the ritual of ceramics and tea together. They share this beautiful history, rooted in community. Tea is a huge part of my daily ritual! Right now I’m obsessed with this cold steeped hibiscus & chamomile tea from The Cupboard, and the Snow Jasmine from Song Tea. I’m on a matcha kick lately! I love the ritual of preparing it. I prefer it in the afternoon, when it’s the sunniest in the studio. It’s a great break. Has a specific tea or tea experience ever inspired a ceramic piece of teaware in your collection? The tumblers were all intended for / inspired by tea. I wanted to make the simplest shape without handles, because that’s what I prefer to drink tea out of. Do you have any favorite pieces in your teaware collection? A lot of my pieces are intended to go together – for example the small plates (in the shino and gunmetal glazes) are great for placing tea bags on, or resting spoons. And the stirring spoons were designed with that in mind as well. I hope that as a set they create a feeling. Can you share about your passion for crafting cups out of clay? Clay is such a versatile medium, there’s so much potential in it. 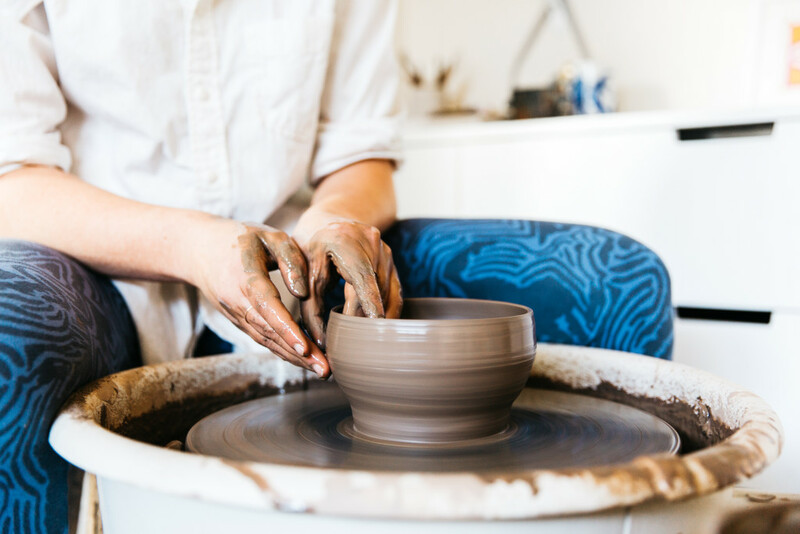 What I love about pottery is it can be as simple or as complicated as you choose, because there are so many variables – the clay body, form, weight, glaze, firing, etc. I love the balance between the technical and the creative. You can be as calculated and careful as possible, but there will always be an element of uncertainty that makes each piece beautiful. Click Here to Download a Free High Resolution File of the photo below (p.s. Save it as a desktop view for your computer or phone to inspire spring steeps).